The X5’s ovalesque design and rubberized rear make it comfortable to handle. The 3.8-inch capacitive TFT LCD is very crispy and clear, but the con is it is not visible in sunlight. Running Android 2.2 on an 800 MHz Scorpion processor comes with Adreno 205 GPU, the X5 is a very capable smartphone. The stock UI is quite basic; functionality and multitasking was smooth, and Huawei has thrown in Swype for text input. The X5’s media prowess leaves a little to be desired. We found the decibel level to be a little low, but audio quality was clear. By contrast though, video playback volume via RockPlayer was no problem. The phone is well equipped for connectivity, with 3G, EDGE, and Wi-Fi with a hot-spot support. Other features included USB tethering, Bluetooth 2.1 with A2DP, and USB 2.0. With Flash 10.3 support, the Web is a much better experience. Image quality from the 5 megapixel camera, which supports macro, white balance, a few scene modes and geotagging, is nothing to write home about. The X5 can also record video in 720p, but again, performance is below average. The phone’s battery can provide a little over a day and a half of usage, with average talk time of about 4 hours. At Rs 15,000, the X5 is just a little steep, but it does manage to offer quite a bit of functionality for the price. 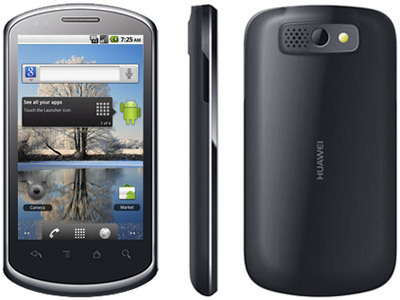 The Price of Huawei U8800 IDEOS X5 is Rs.14,999/-. K.Bharath writes for HDBloggers where he writes product reviews such as Laptop Reviews and Latest Mobile Phone Reviews. He is a Part time Blogger and Working in a Private Company and Earning Decent Income and Spending a Part of the Income for Improvement of his Blog.